With year-end fast approaching and 2019 budget planning on the horizon, it’s vital you’re up-to-date on the latest buzz words and trends in the digital marketing world. 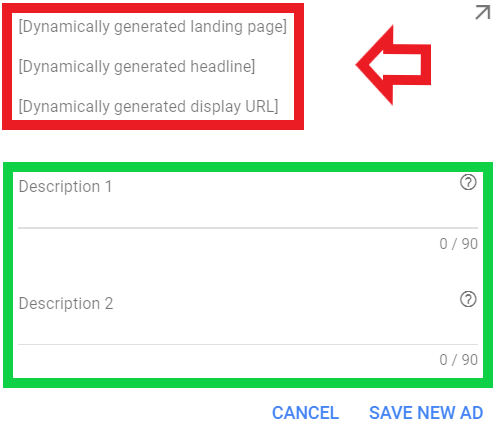 In part one of two on dynamic ads, let’s explore if dynamic search ads are worth your hard-earned ad dollars. Don’t let you select keywords. E.g. if a shopper searches Google for ‘RV parts’ and Google can match the phrase to content on your website, they would trigger an ad for you. Don’t let you select landing pages*. Using the example above, your landing page would be the page on your site where Google found the parts content. *Note: it’s possible to provide Google some direction via a category, feed, etc., but it’s still at their discretion. Don’t let you write ad headline copy. Continuing with the example above, Google would piece together your ad headlines from the parts page on your site. They’re worth testing, but beware of their limitations and risk. There are countless stories of odd and flat-out wrong ads appearing on Google due to this ad format. Our internal testing has shown a -10% average decrease in conversion rate upon adopting dynamic search ads.